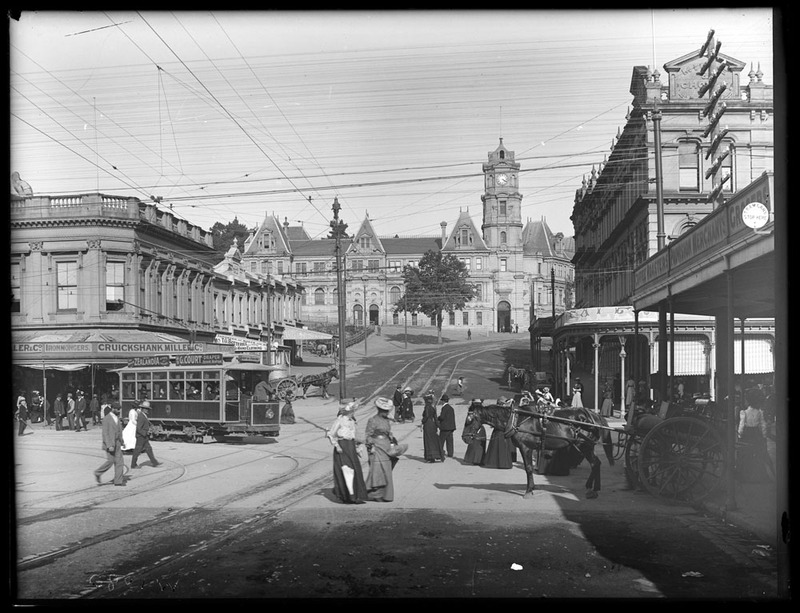 Photographs have long been part of Auckland Libraries’ heritage collections. 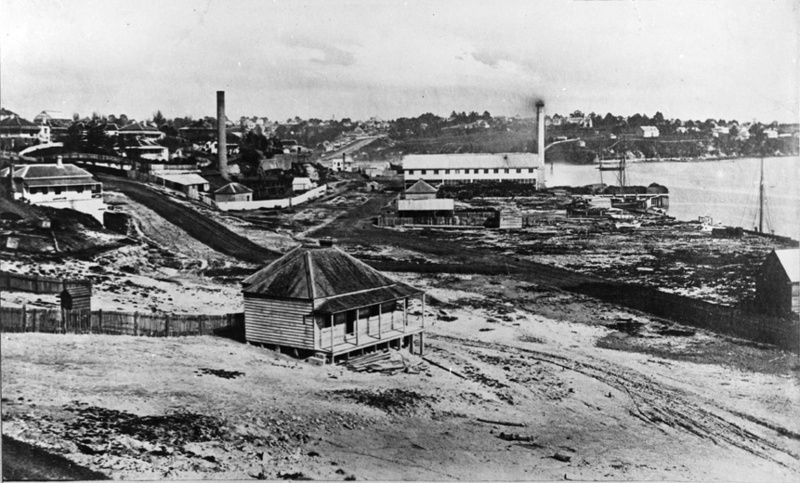 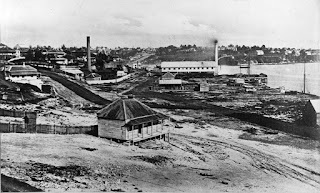 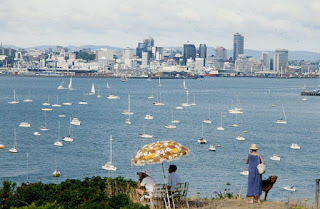 The Winkelmann collection of views of Auckland was purchased in 1928 and the Richardson collection was added in 1942. Ref: Henry Winkelmann, Intersection of Queen Street and Wellesley Street, February 1903, Sir George Grey Special Collections, Auckland Libraries, 1-W1080. 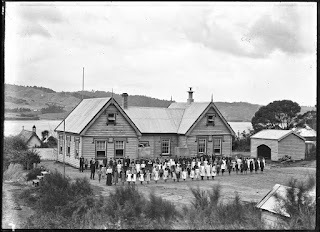 Ref: James D Richardson, Freemans Bay and reclamations, 1877, Sir George Grey Special Collections, Auckland Libraries, 4-567. 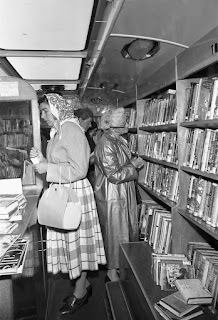 The Library has largely collected photographs for their documentary evidence of places, people and events. This exhibition is our chance to focus on the photographers themselves and give them due recognition. Ref: Daniel Louis Mundy, Mansion House and gardens on Kawau Island, c1870, Sir George Grey Special Collections, Auckland Libraries, 7-A3085. 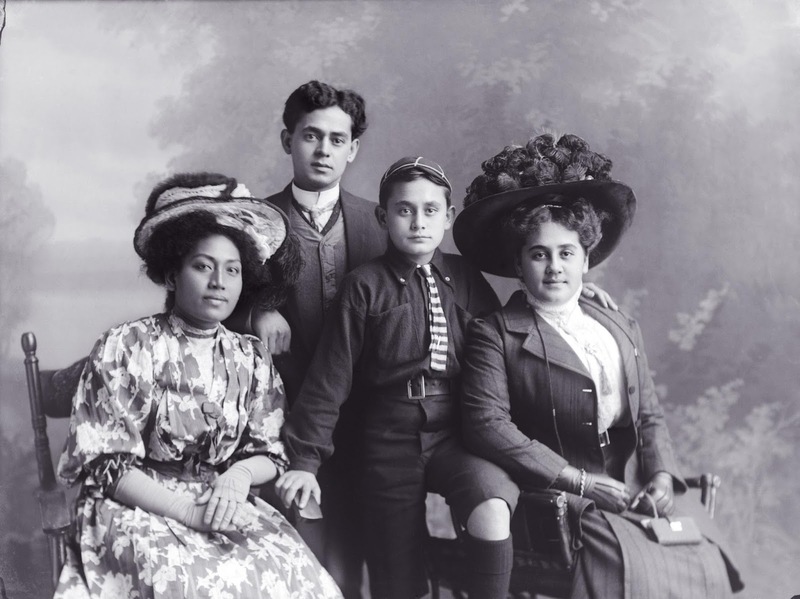 Ref: Herman John Schmidt, 3/4 portrait of the Easthope family, 1909?, Sir George Grey Special Collections, Auckland Libraries, 31-57237. 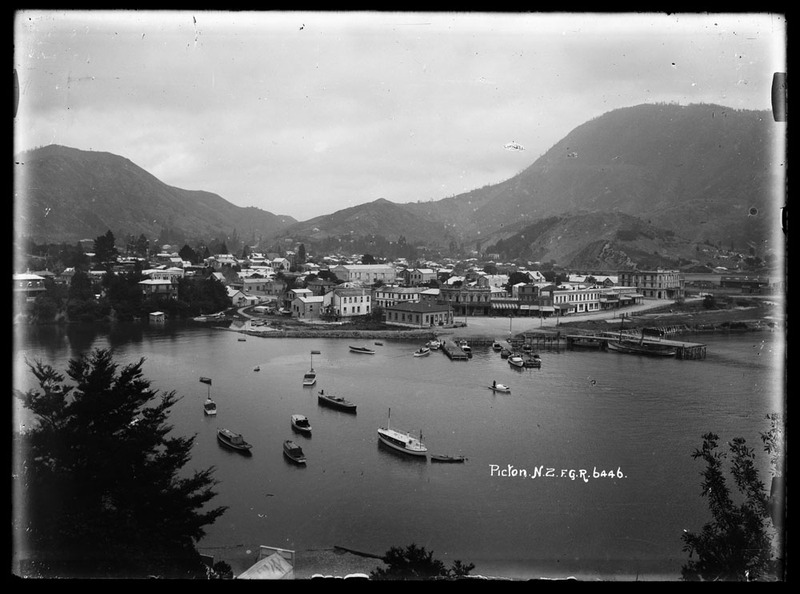 The Library’s ongoing digitisation programme means that all the photographs used in the exhibition are also available to browse online. 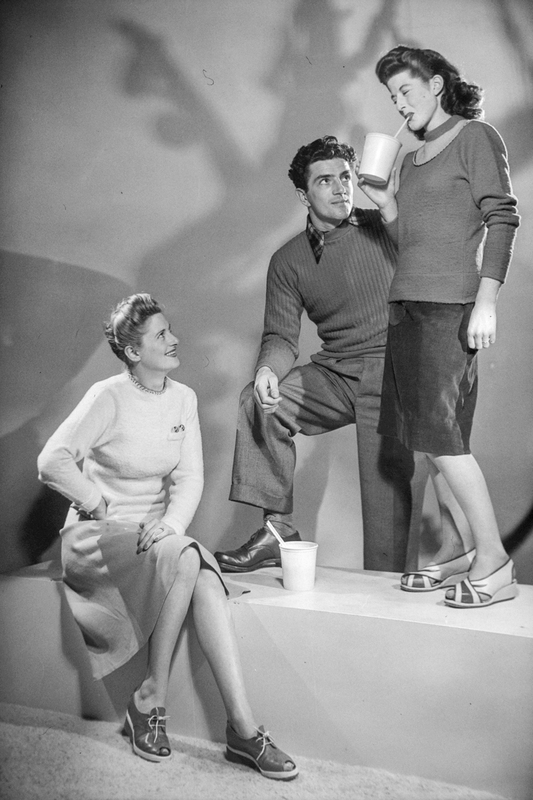 Ref: Clifton Firth, Group of models for Korma sweaters, 1940s, Sir George Grey Special Collections, Auckland Libraries, 34-K145B. 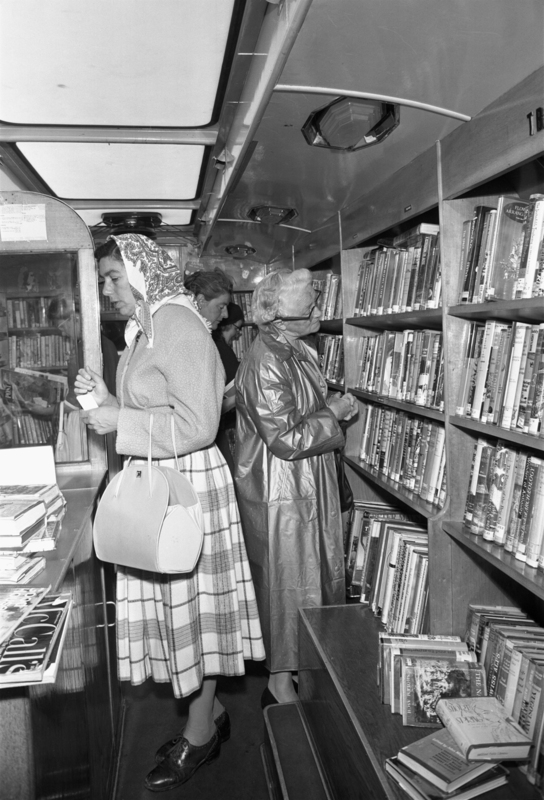 Ref: Auckland City Council, Interior of the mobile library, 28 November 1963, Sir George Grey Special Collections, Auckland Libraries, 580-8245. While many of the images have appeared in previous exhibitions Behind the camera gives us a chance to group them together by photographer and give them a stylistic and personal context. Ref: Charles Peet Dawes, Pupils lined up outside Kohukohu School, Hokianga, c1890-1909, Sir George Grey Special Collections, Auckland Libraries, 1142-D24. 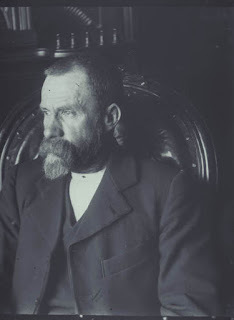 Ref: Ernest Charles Binns, Informal 1/2 portrait of the photographer, c1900, Sir George Grey Special Collections, Auckland Libraries, 80-BIN232. 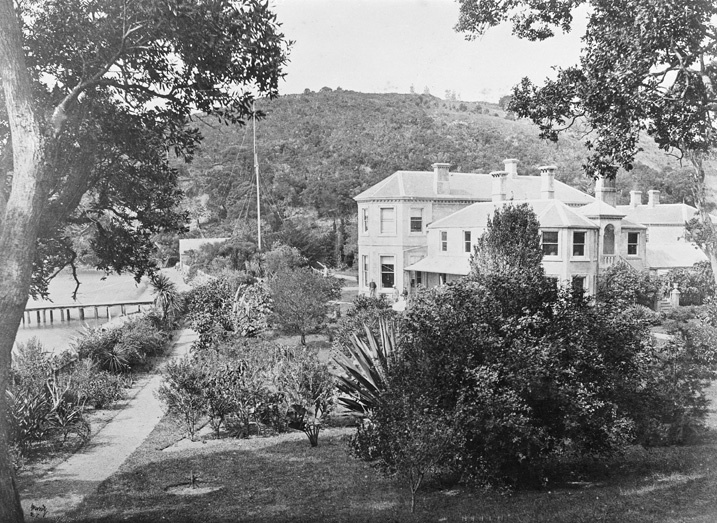 Ref: F. G. Radcliffe, Picton, Sir George Grey Special Collections, Auckland Libraries, 35-R1110. There is also an online exhibition showing a selection of Radcliffe's work. 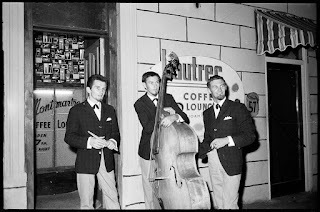 Ref: John Rykenberg, The Mike Walker Trio, from left to right, Frank Conway, Neville Whitehead, Mike Walker outside the Montmartre and Lautrec coffee lounge in Lorne Street., 1960s, Sir George Grey Special Collections, Auckland Libraries, 1269-E161-29. 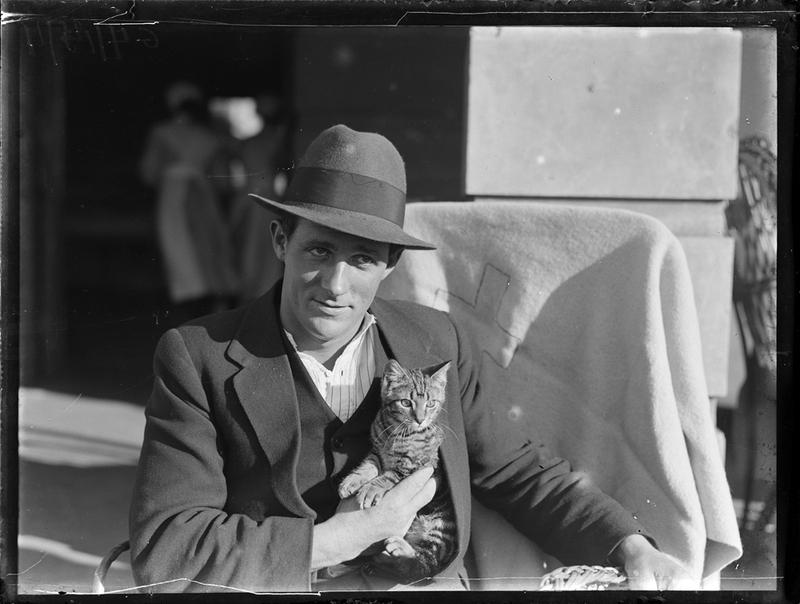 For more information on individual photographers in this exhibition you can perform a search by name in our Photographers database. 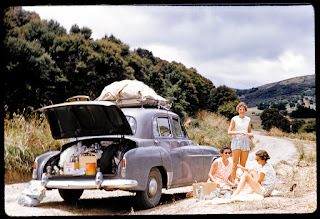 Ref: Ron Clark, Roadside picnic, c1950-1969, Sir George Grey Special Collections, Auckland Libraries, 1207-1146. Ref: Eric W Young, Looking south west from North Head over Torpedo Bay to Auckland City, 1980s, Sir George Grey Special Collections, Auckland Libraries, 1021-475.